Stones range in size. Small is under and inch, large is larger than an inch. Stones have natural holes made by our mother. Worn by the waves. Theses stones come from Great lakes in the USA. Folklore says if you look through the hole you will be able to see fairies. To reduce our Carbon Footprint as a business we will no longer be sending a color copy of your invoice in each package, a copy of your invoice is available in your Etsy account under purchases. If you must have a printed copy of your order in black and white please leave me a message and I will be glad to send you one! Thanks for understanding, let's all do our part! Shipped securely. 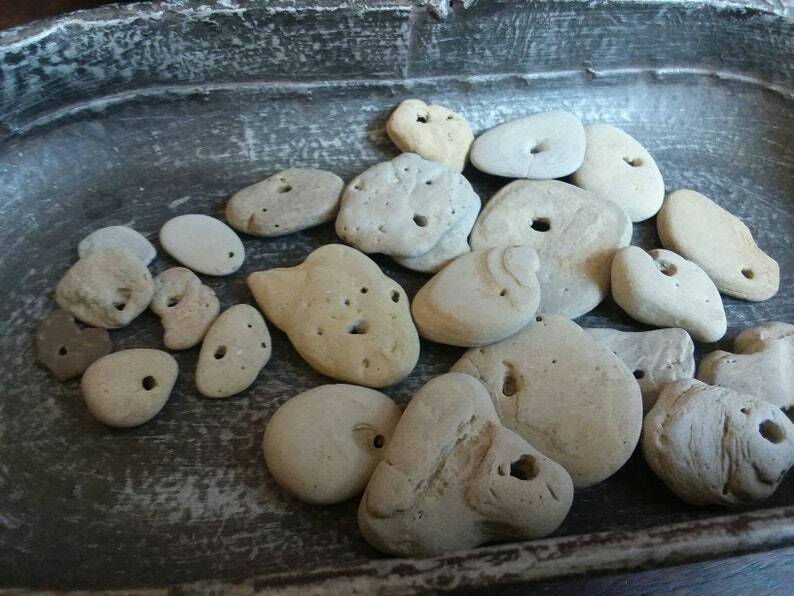 Nice little Hag Stones, smooth to the touch with a tiny hole to look through.